Do you often travel for work? Or have long hours at your job that you often worry about your pet while away? 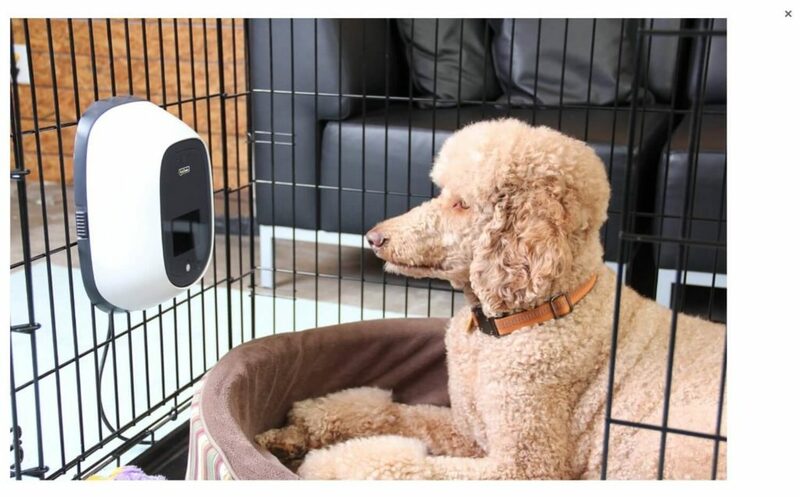 PetChatz HD is an innovative device (Pet Camera and Treat Dispenser) that allows you to interact with your pet through two-way audio and video. And guess what? It can dispense scents and treats, too – making it a totally immersive and interactive solution to give you peace of mind and ease your pet’s loneliness. 2 Who Is It Good For? You can see and hear your pet through the device by accessing an account through a computer, smartphone, or tab. It allows you to be on top of everything from anywhere you are located – be it at work, when you’re on vacation, or even when you’re simply in the bathroom. Software upgrades are also upgraded directly to your device so you are always getting the latest and greatest improvements from the company. The device was created with your pet’s safety as the top priority. It is very durable and sturdy, and meant to withstand chewing and other aggressive behaviour from your pets. Everything from the shape to the materials, from and function, were considered in creating this device. There are no corners or sharp edges, no cords, no choking hazards, and attaches securely to any wall. Through the video and audio feature, you can easily “talk” to your pet while you’re away. 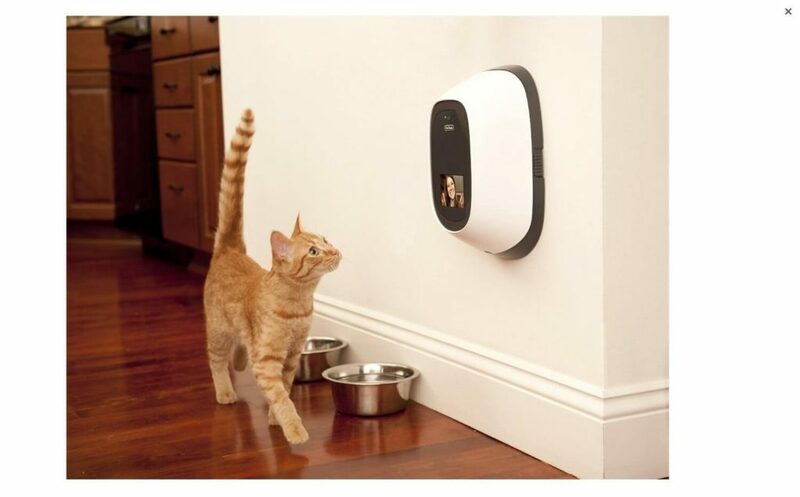 The device has a ringtone that calls out your pet’s attention so it knows you are calling. There are no cords to the device so it’s incredibly safe. It also eliminates placement restrictions as you can simply mount the bracket on any electric outlet and plug it in. The device comes with a pack of 100 treats specifically made for the device. It’s all-natural and nutritious, and free of corn, soy, wheat, artificial flavors or coloring, making it safe to eat for both dogs and cats. You can also dispense a calming scent, which is a specially formulated combination of essential oils applied on a pad. The device comes with 10 pads and refills can be purchased from the company. 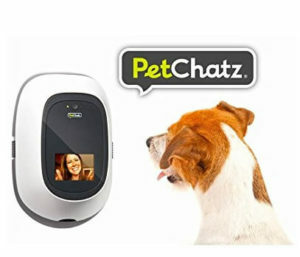 Easy Set-Up – PetChatz HD comes with training instructions and it’s virtually easy to set up. There are no cords so you simply connect it to your home’s WiFi connection. Keep in mind that an upload speed of 2mb for your internet connection is required, otherwise, the device won’t work. Engages Different Sensations – Unlike other devices where the features are only limited to audio and video, PetChatz engages your pet’s two other sensations – their sense of smell and taste. The fact that treats can be dispensed is a fantastic feature that allows you to physically show affection to your pet even while away. Eases Separation Anxiety – The device reduces your pet’s loneliness, as well as gives you peace of mind that everything’s fine at home. The device can also receive notifications about your pet’s movements as it also features a motion and sound detector that sends you alerts. You can also teach your pet to contact you using this feature. Excellent Customer Service – PetChatz has great customer service, whether your issue may be the initial set-up, wanting to have the device replaced, or simply asking about technical issues. It requires strong internet connection. If you don’t have it, you would have to have your connection upgraded. Treats and the scent pads can only be purchased from the company. If your pet has a favorite treat, you won’t be able to use it on the device. Quite expensive – you have to consider it as an investment rather than a simple toy for your pet. PetChatz Automatic Treat Dispenser is highly recommended for pet parents who work long hours or travel a lot of work. When you’re often away from your dog or cat, you are always worried if they were able to eat their food, if they’re safe, or if they’re feeling lonely without you. PetChatz allows you to stay on top of everything by being able to “talk” to your pet, give them a calming scent, and give them treats from anywhere you may be. The first of its kind, this totally immersive device gives you the ability to be with your pet even when you’re not physically there. Great for pets and pet parents with separation anxiety, its features help to ease your worries. Although quite expensive, PetChatz’ benefits is worth every penny. This honest review was written by Dogordog.com. Tether Tug Dog Toy – Interactive Dog Toys for Playful Pups!